To read some snippets of description of the estate from the 18th century, click here. 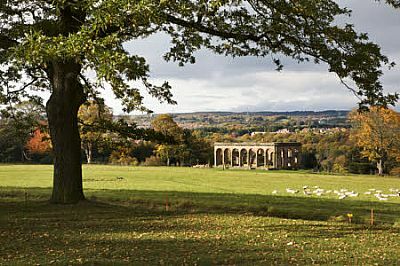 To see a simple Timeline about Gibside, click here. 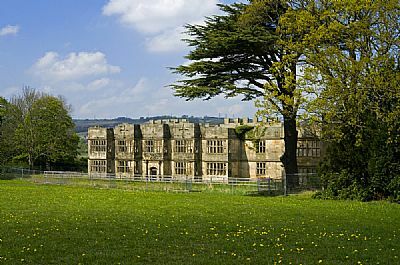 This is Gibside Hall, a Jacobean mansion built in 1620 by William Blakiston. In Eleanor's lifetime, the building had three storeys: the third floor was replaced by a high battlemented parapet in the decade after her death, when her son John, the 10th earl, was the owner of Gibside. The Queen Mother, whose father was the 14th Earl of Strathmore, always enjoyed time spent there as a child. The Bowes-Lyon family gave up the property in the 1920s and building is now a ruin. This is a view of Gibside Hall from the wildflower-meadows on the south bank of the River Derwent, where Eleanor has her early-morning encounter with Gabriel. The twin oak trees where the scene in the novel takes place are still standing. They were probably planted as part of a planned vista or natural frame: from there, you look directly up to the Column to Liberty. 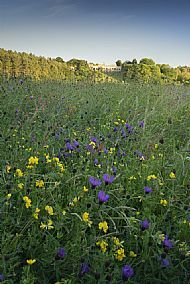 These meadows, known as Warren Haugh and Lady Haugh, were purchased by the National Trust in 1968. 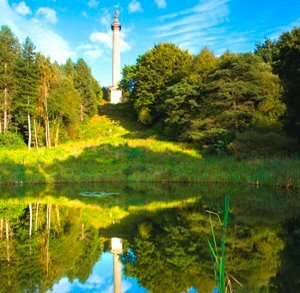 The Column to Liberty viewed from the Octagon Pond. 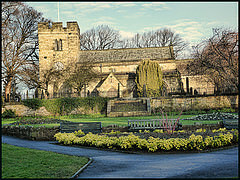 George Bowes commissioned the statue and building started the year after Eleanor was born. The stables, built in 1747-9. The grand Palladian design led many people (including Stoney) on first seeing its frontage on the approach from Whickham to presume it was the Hall. The Orangery or Green House, built for Mary Eleanor 1772-4 to house her exotics. The front faces south-east and there was an ornamental pond in the meadow. The back has magnificent views across the Derwent Valley. When George Bowes died in 1760, work had only just started on the foundations of his mausoleum, so he was laid to rest in the crypt of beautiful Whickham Parish Church three miles away. In the novel, Eleanor visits the church every year on his birthday and longs for the day when the Chapel is completed and he can be brought home. 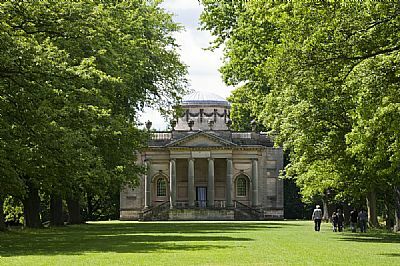 The Chapel was designed by James Paine (1716-1789) in the English Palladian style and is considered one of his finest achievements. Building work was stopped several times over the next half-century and it was 1812 when Eleanor's son, the 10th earl, completed the building, had the chapel consecrated and brought his grandfather's remains to their final resting place. The beautiful Chapel, at one end of the Grand Avenue, is a focal point of the whole estate. It is built of pale grey stone from Streatlam. 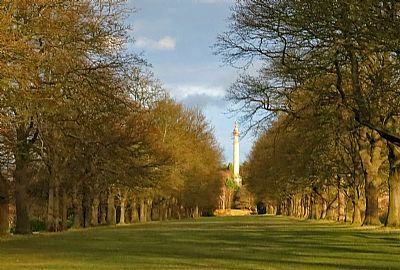 From the Chapel's loggia, you can look along the avenue to the Column to Liberty. The avenue is a measured half-mile where George Bowes used to exercise his horses. The first time the King's Purse was run on Newcastle Town Moor it was won by one of his horses, a bay called Cato. Eleanor's grandson, John Milner Bowes (1811-1885) and his wife Josephine Benoite, Countess of Montalbo (1825-1874) were originally interred here but were removed to be re-interred in the RC Chapel on the Bowes estate. Gibside is now in the care of the National Trust and the gardens are maintained by an enthusiastic team of volunteers, of whom I am one. This photo, by Tom Carr, shows the team I work with. 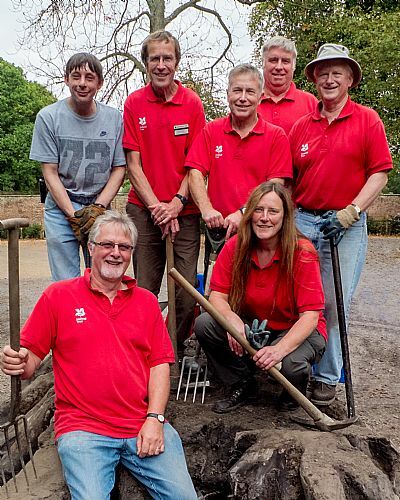 If you're interested in volunteering with the National Trust in your area, please click here. 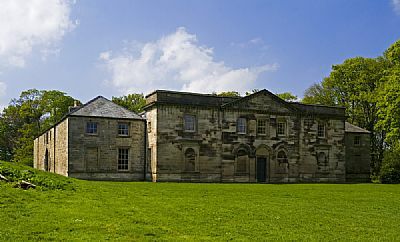 Click here for Gibside visitor information. 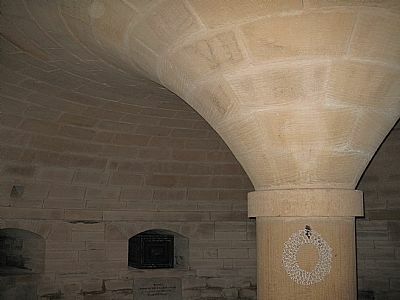 All other photographs except the crypt are National Trust copyright and are reproduced with kind permission of the National Trust Picture Library.